Everyone loves the fresh food and speedy delivery at Eatfresh, but did you know you can get money off all of your meals and snacks by following a few simple steps? That's right, you can find all the latest Eatfresh coupons right here at DealSunny, and we are constantly updating the list so you never have to worry about promotions expiring before you claim them. Simply browse here before placing your order and you're sure to find a deal that will make you great savings. With DealSunny you never have waste time searching the web for special offers that actually work, as they're all here on one page. Just click on an offer you want to use and the terms and redemption details will be provided. Eatfresh is a chef made fresh meal delivery service, based out of Bangalore, India. 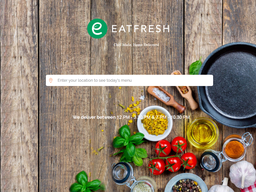 The privately held company allows customers to easily order their food online at EatFresh.com and via a mobile app for iOS and Android devices, and it will be delivered to your home or office within an hour. Menus change daily, but feature both traditional Indian cuisine and some western inspired dishes as well. They currently serve local customers, but have plans to expand across India. One of the reasons the decentralized restaurant is quickly growing in popularity is not just the great pricing and menu, but the fact that there are so many promotions that help you make savings. These are most commonly redeemed by using special Eatfresh coupons, which are special codes you enter on the site. At DealSunny we maintain the largest list of Eatfresh promo codes on the web, so remember to browse back here before ordering to ensure you get the best deal possible! Eatfresh was founded in 2015 to connect the top chefs in the region directly to customers, without being limited to a single restaurant or kitchen. In that respect it functions much like a marketplace. Their focus is on freshly made nutritional meals, not typical low quality "fast food" and all chefs have experience at premium fine-dining restaurants and star-rated hotels. "Eatfresh allows you to order wholesome, freshly-cooked meals from a network of expert chefs. Using locally sustainable products wherever possible," explains their about page. Eatfresh is produce and chef driven, meaning each day a new menu is posted by the professionals depending on what they believe will be the most mouth watering and satisfying option at the time. This includes full meals, entrees, sides and snacks - all of which are made to order using the freshest of local ingredients. All meals are prepared within certified kitchens that conform to the highest cleanliness and hygiene standards. The menu tends to include traditional Indian cuisine, but also international favourites as well. This is broken down in to a lunch and dinner menu, with vegetarian and non-veg options. Eatfresh special offers are always changing and multiple deals are usually available at the same time. That's why you should take a good look at our list to find the best Eatfresh promo code for you. Some may be applicable for any item on the menu, while others may provide deeper savings but can only be applied to specific menu items, days of the week or other restrictions. If you see an offer you like the look of, snap it up right away as it might not be valid for long. As well a coupons remember to check Eatfresh.com and the mobile app for other deals promotions. 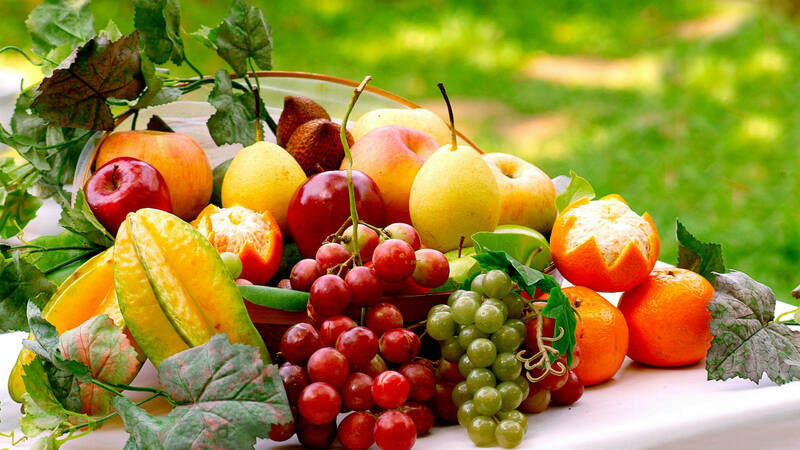 Although the menu of tasty, wholesome and well balanced meals, changes daily. Common types of dish and returning favourites include Paneer Tikka Masala, Chicken Curry with Steamed Rice, Jerk Vegetables, Hunan Grilled Tofu with Chilli Garlic Fried Rice, Asian Barbeque Winglettes with Schezwan Fried Rice, Chicken with Mushroom and Wine Sauce, Chicken Buffalo Wings with Tausi Sauce, and many others. A typical meal contains one moderate adult portion, which typically includes a main dish, as well as some small sides for balanced nutrition. A selection of yummy desserts are also available on the evening menu. Chefs can cater to individuals ordering for themselves or bulk orders for a large party of people. Each meal individually labelled, served with disposable cutlery, and in packaging that’s easy to manage and dispose. In this scenario however you must fill out a request form. Pricing an options may be different from what you see on the regular menu. You must also order in advance of the day. You cannot typically customize your order or make special requests as an individual customer. Note: Eatfresh uses high-quality, premium ingredients sourced from certified vendors and brands. They don't use preservatives and their meals are all free of MSG. Their non-vegetarian products are from Halal certified vendors only. New Customer Special: As a thank you for trying Eatfresh for the very first time, they will often give you a discount on your first order. All you have to do is register an account (name, address, mobile number and email address), and you will automatically get the discount upon online checkout. Eatfresh coupons: These are special codes that you can enter in to a small box during the online checkout process, to redeem various discounts and deals. You can find these in our list at DealSunny. Only one coupon can be used per order. App Only Exclusives: From time to time Eatfresh reward app users with exclusive deals, so there is no reason why you shouldn't get the app if you have an Android or iOS device. Paytm: If you use the Paytm payment platform you can get cash back on your orders at Eatfresh. Standard Discounts: From time to time menu items will be marked down for a limited time only. Simply add them to your cart as normal to benefit from the savings. Free Delivery: All orders from Eatfresh are delivered for free, so the only price you pay is the displayed cost of the food. You can have food delivered to your home address, office or other location, and they aim to get you it within 45 minutes! Happy Hour: These offers are only valid for specific times of the day like a "happy hour." Are you looking for something different to order? Check out our Swiggy coupons. You should always browse back to DealSunny before placing an order to stay up to date with all the latest Eatfresh offers, but it's also a good idea to sign up to their email newsletter for a few exclusives. You can also follow them on social media, including Facebook, Twitter and Instagram. Placing an order at Eatfresh is very easy and you should have no trouble if you have purchased anything online before. To begin with you can either go to the EatFresh.com website through a web browser and order that way, or you can download the mobile app for Android or iOS devices from the Google Play Store and Apple App Store respectively. This includes all the same features as the main website, so you won't be missing anything. On Goole Play it has a user star rating of 3 out of 5, meaning you shouldn't run in to any technical problems. To create an account simply click ‘Login’ in the top corner of the homepage, and use your Facebook account or email address to sign up or click on ‘New User’ to create an Eatfresh account. The website uses a standard basket and online checkout system, and all menu items are arranged in to regular and vegetarian menus, with separate menus for lunch and dinner. Simply scroll down to view the images, dish name and ingredients, and click the Add button to include it in your order. The listing will even note which chef cooks the meal, in case you have a favourite chef in mind. Click the basket icon when you are ready to check out and you will then be able to choose your payment option. If you wish to redeem an Eatfresh promo code you can do this just before the payment step. Customers are able to choose whether they want their order delivered as soon as possible or in a future time slot. Eatfresh delivery hours are from 12 Noon to 3:30 PM for Lunch and 7:30 PM to 10:30 PM for Dinner. All orders are delivered in secure packaging to ensure the food isn't disturbed and remains hot and perfect for consumtpion. After you have finished your meal you are encouraged to leave a rating and review from within your online account. These are not made publicly available, however they help guide future daily menus and Chef selections, and allow chefs to monitor performance. The prices you see online are inclusive of all taxes, and there is no additional charge on delivery. Eatfresh issue regular emails alerting you to menu changes, and if you download Eatfresh mobile app, you can also get push notifications that will inform you of new dishes, desserts or sides. You can also stay up to date with all of their news by following them on Twitter, Facebook and Instagram. Here they also share mouth watering photos of their meals. To ensure nobody is excluded from the great Eatresh food, they offer both online and offline payment options. For fast online checkout you can pay using a commonly issued Indian credit, debit or cash card, including through a secure gateway. Cards supported include Mastercard, Maestro, Visa, Visa Debit, Diners Club, among others. If you only have cash, Cash On Delivery (COD) is available. This process simply requires you to pay cash to the delivery driver when your order arrives, and they will pass it on to Eatfresh and mark the transaction as complete. If you wish to redeem an Eatfresh offer coupon for your order, there is a box just prior to the online payment page where you can type or paste the code. You will then receive conformation and your order will update according to the terms of the offer. For example if your coupon is for a discount, then your total order cost will decrease accordingly. Note, you can only use one Eatfresh promo code per order, so make sure you choose the best one. If you fall within the Eatfresh catchment area, your food delivery is completely free of charge. The prices shown on the site and app include all taxes etc. They aim to deliver all orders within 45 minutes, but it may take up to an hour in some cases. You can track the order through the app and will be alerted, so hold tight if it's a bit late. You can place an order in advance or have it delivered as soon as possible. No matter what time you choose the food will be made fresh and is never reheated or prepared earlier. If your order is particularly late feel free to contact customer support by email, phone or through the app. If your order never arrives, items are missing, the quality is unsatisfactory or you have any other concerns, feel free to contact customer support. In extreme cases you may be issued a refund. If this is the case it can take up to 10 working days to full process. Obviously if you have used any Eatfresh coupons to get a discount, you will only be refunded the actual amount charged after this was applied. You can leave reviews and ratings for internal review, and you are also encouraged to rate the app on Google Play. @AishwaryaIyenga We're glad you had good foodie Sunday! We hope to serve you again. @aadarshgupta123 Sorry to disappoint Aadarsh. We refresh our stock ever half and hour though. @Nehasupnfan Sorry for the inconvenience Neha. We do refresh our stock every half an hour.